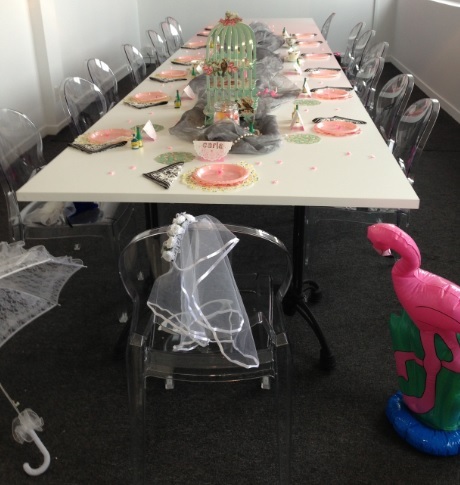 I like planning events, yet I am not an event planner; I manage a database! My organisational skills, paired with my creativity, have helped me put on some great events though (mainly for work!). 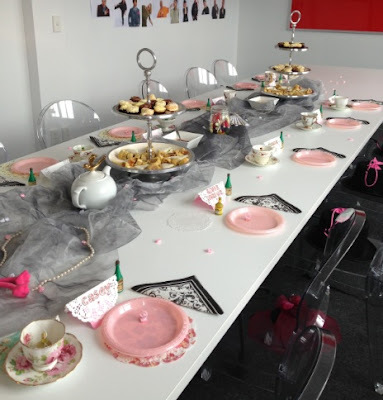 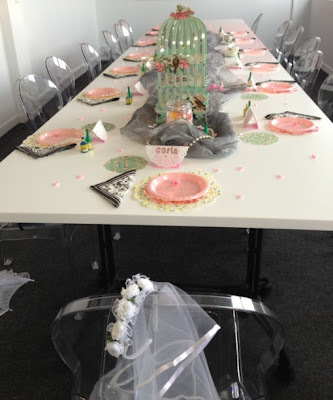 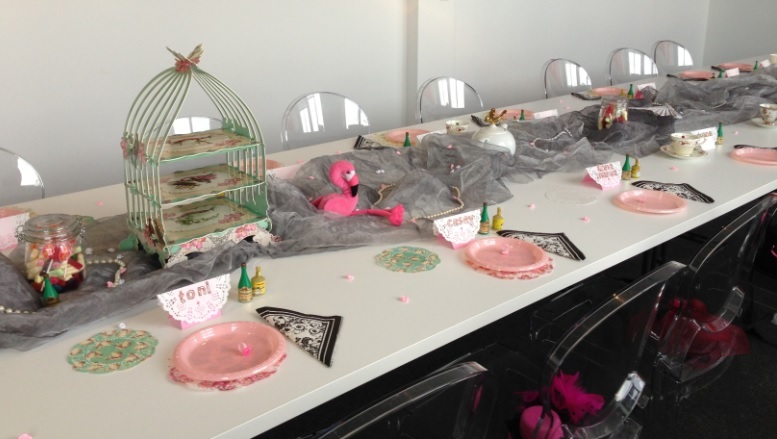 Today's event was a work colleague, Carla's, birthday AND wedding celebration. 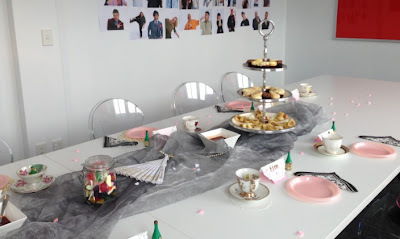 My work allocates everyone a 'birthday buddy'. The identify of your buddy is meant to be a secret - I have Carla, but she will have someone else. 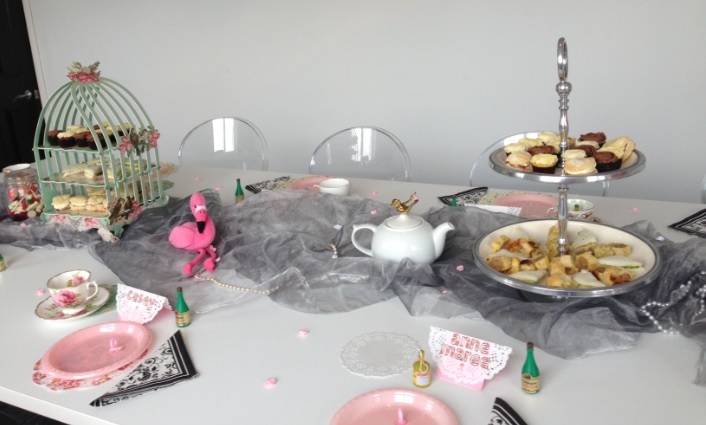 We usually celebrate birthdays here with morning tea (cake, candles and singing), and by decorating our birthday buddy's desk. Carla got a little extra, because we wanted to celebrate her impending wedding too! 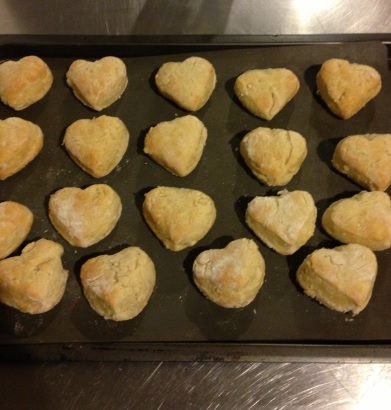 Yesterday two of us looked in many-a-$2-shop for props, and last night I baked heart-shaped scones (well, I tried!). as well as making everyone place cards. Setting up the Boardroom today. 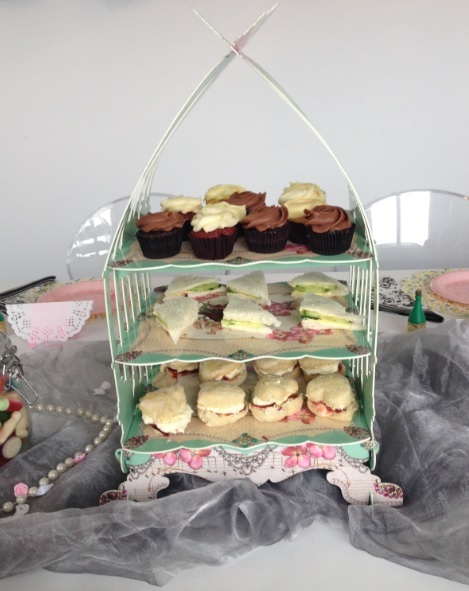 First job was putting together this amazing cardboard cake-stand (by Talking Tables) that the CEO found. Once the stand was together, I worked on setting up the rest of the table. 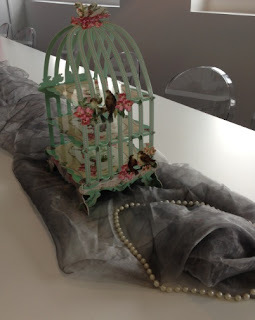 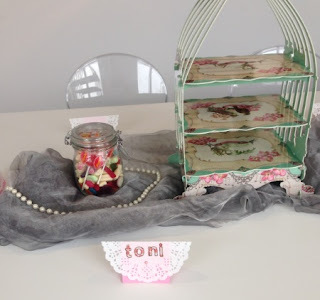 I used organza down the middle, with strings of pearls, and little white/pink ribbon rosettes. 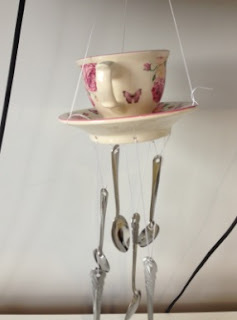 Found this darling 'wind chime' - tea cup with dangling spoons! 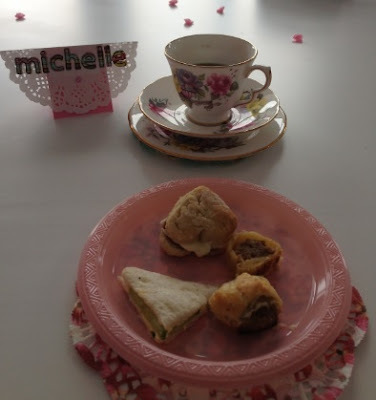 Time to start adding the food - mini-cupcakes, scones (with jam and cream), cucumber sandwiches, and sausage rolls (along with some lollies). 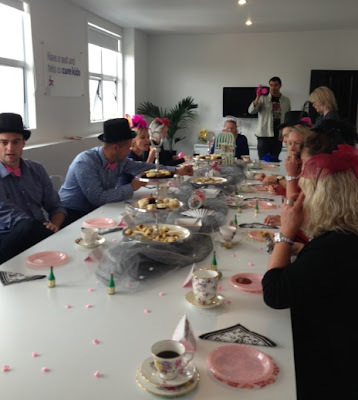 I also made sure everyone had a 'fancy' hat - the guys got top hats and pink bow-ties, the girls got a mixture of facinators. Carla, the bride-to-be, had a mini-veil.